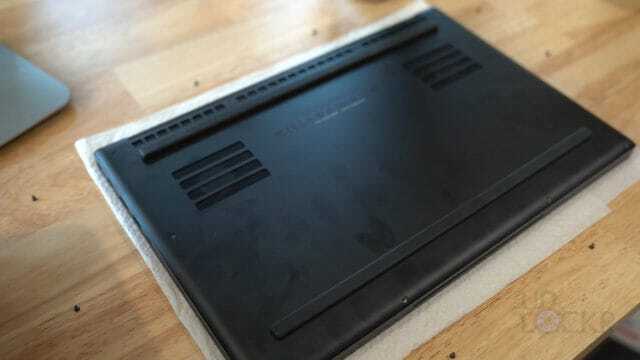 The Razer Blade 15, the long-awaited redesign to the Razer Blade, is finally here and there’s one unique feature that makes it even more appealing: it’s upgradeable. 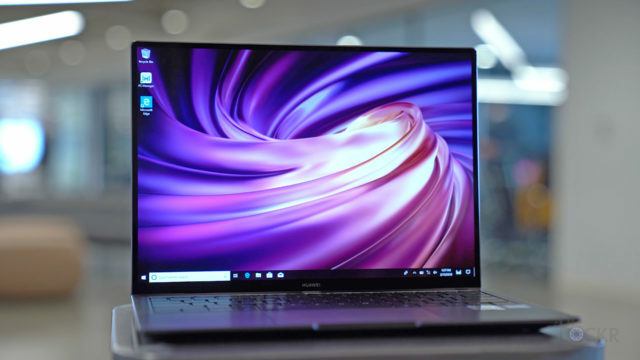 What I mean by that is that you can buy the Razer Blade 15 from Razer in any of the RAM and SSD configurations and, should you feel the urge, you can easily upgrade the RAM or upgrade the SSD to increase the performance or storage. Besides the clear benefits of increasing the power and storage as you need it, this is also a great way to save money. 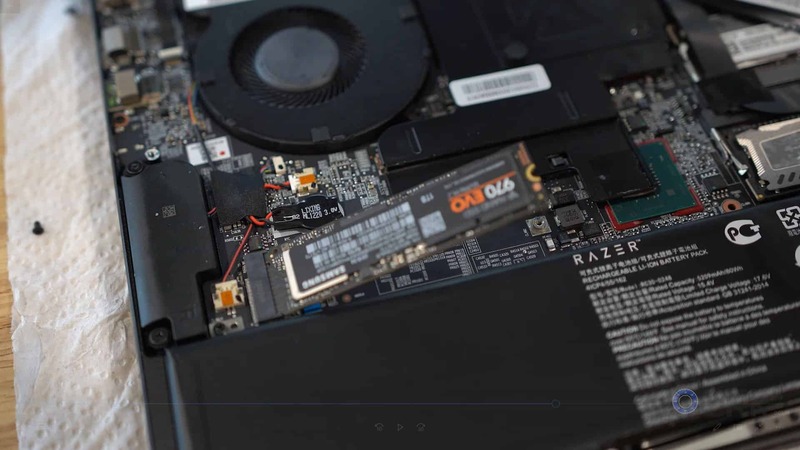 Most of the time buying the higher RAM or higher capacity SSD from the manufacturer comes with a premium frankly. 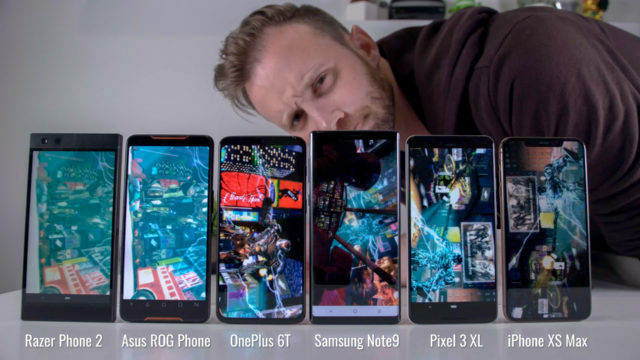 So, what you can do instead is say buy the lowest RAM or SSD size from the manufacturer and replace it with your own to get to the higher specs of more expensive models (or even beyond) for much less money. 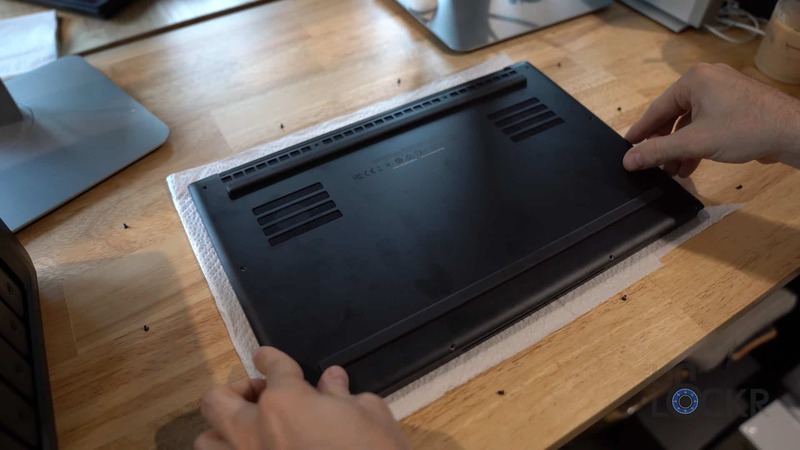 In this specific case though, I don’t just want to get to the highest model Razer Blade 15 that Razer sells–I want to max this thing out. 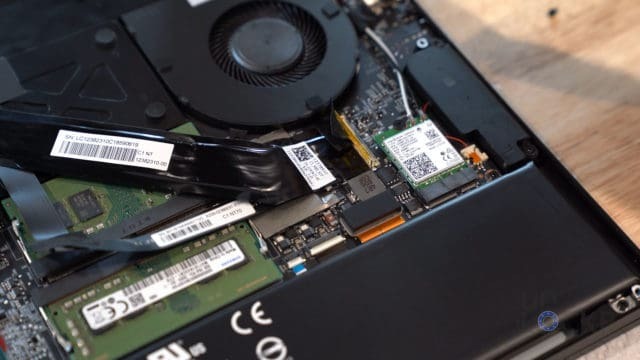 Now, regardless of whether you want to max it out, save a little money by installing the RAM or SSD yourself, or just upgrade the laptop as you need it, here’s how to upgrade the Razer Blade 15 RAM and SSD. 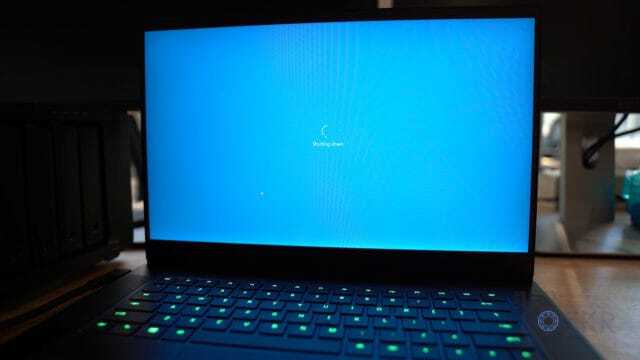 Razer Blade 15: Duh, but if for some reason you haven’t, you can buy that here. T5 Screwdriver: To remove the bottom of the laptop. You can buy one here if you don’t have one. 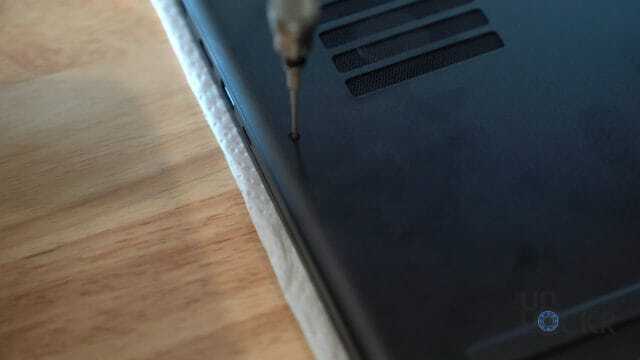 Philips Screwdriver: To remove the SSD (included with the kit above). Cheap USB Drive: This is for us to use to install Windows on the new SSD. I’ll explain later. It just needs to be at least 8GBs in size (and I for 16GB just in case and because they’re usually similarly priced online). Here’s the one I used. 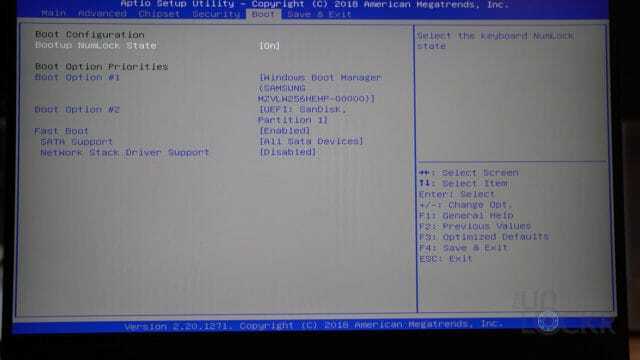 Another External SSD: We need something to back up any of our files to as well as to put some of the drivers we need once Windows is reinstalled. Here’s a large cheap one if you don’t have one. USB Mouse: This is only for the SSD upgrade, but when you do that you’ll lose the trackpad so to get a mouse working initially, you’ll need a USB mouse of some sort (can be wired or wireless so long as it has an actual USB dongle). Here’s a cheap one of those, as well, if you need. 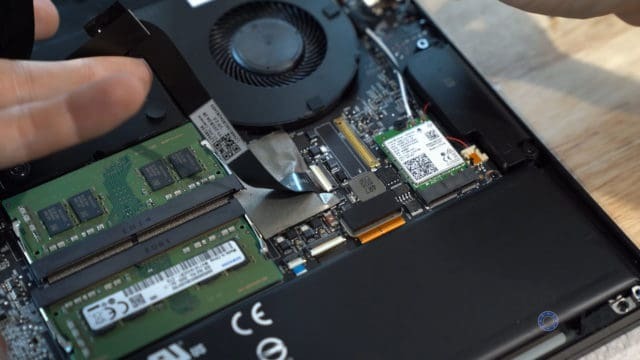 RAM Upgrade: For RAM, we need SODIMM DDR4 2666mhz RAM and since we have two memory slots for RAM on the laptop we need two modules to equal the total we want. For example, I want 32GBs of RAM (the laptop’s maximum) so I bought two 16GB modules from here. 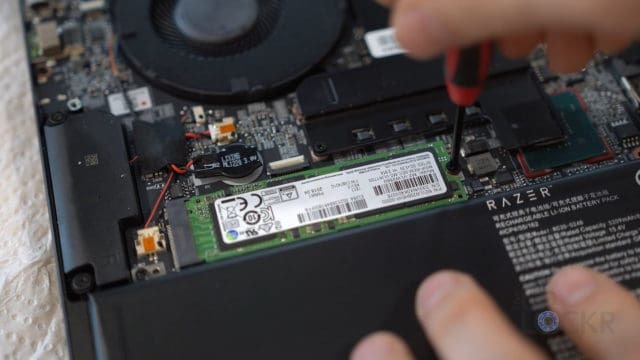 SSD Upgrade: For the SSD, we need an M.2 PCIe NVMe SSD. There is only one slot for this so whatever size you buy is the size you’ll have, no need for math here. 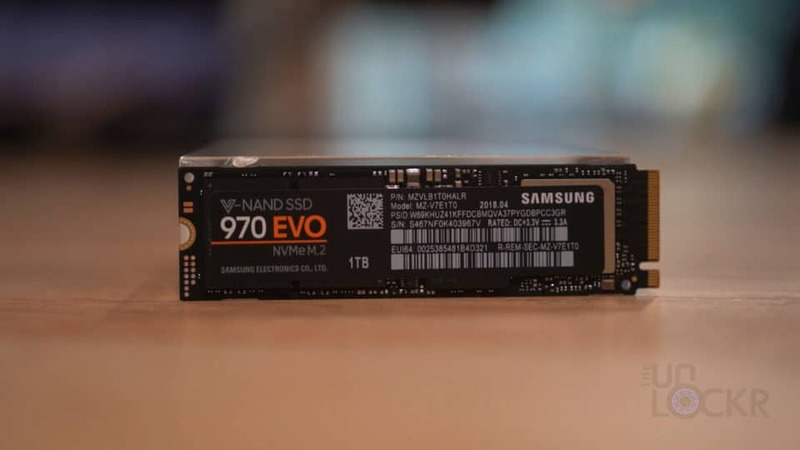 For example, again, I want to install 1TB of storage (I can then go up to 2TBs, the laptop’s maximum, if I want in the future) so I bought the goto, super fast and well-priced 970 SSD Evo here from Samsung (or from here on Samsung.com). 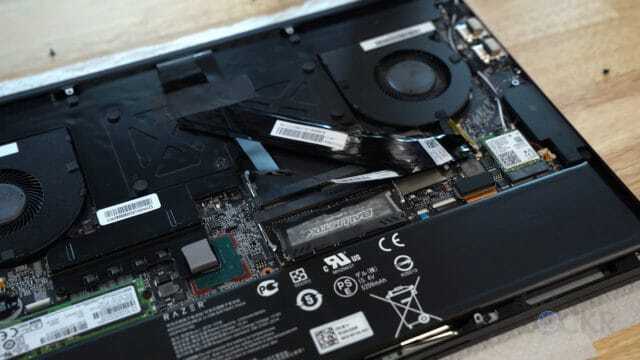 Now, since there is only one drive in the Razer Blade 15 (and that drive has Windows installed on it), when we remove it, we’ll lose Windows. That’s bad. 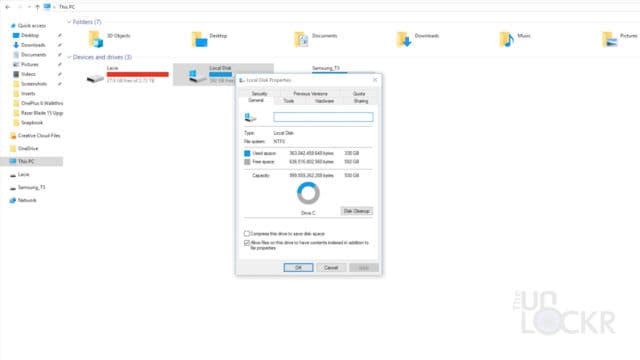 So, before we get started we need to first backup all of your files off of the computer that you need onto either Microsoft OneDrive or the external hard drive I suggested. Just drag and drop all the things you need to either location. 1. Now, we can go to this page on Microsoft’s site to download the tool they have for making this way easier. Click download tool now. 2. Plug in the USB Drive to the Razer Blade 15. 3. Open the tool and click on Create installation media (USB flash drive, DVD, or ISO file) for another PC then click Next. 4. Select USB Flash Drive and click Next. 5. Select the USB drive from the list and click Next. 6. Click Finish when it’s done. Next, we need to tell Windows to boot from this new USB drive instead of our installed hard drive first (this way when we swap it out for the new one it’ll boot from the USB and we can use that to install Windows on the newly installed drive). 1. Head to PC Settings > Update & recovery > Recovery, and under “Advanced Startup,” click Restart now. 2. 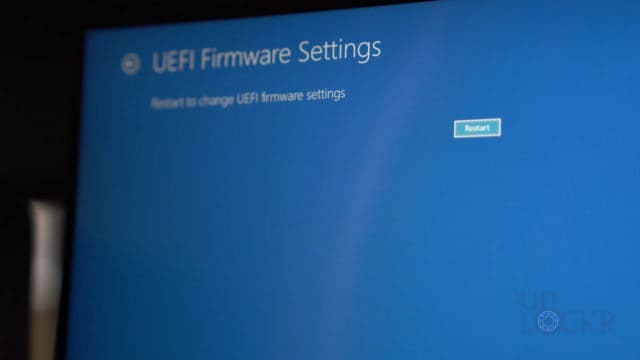 Once it reboots, click on Troubleshoot > Advanced Options > UEFI Firmware Settings, and click Restart. 4. 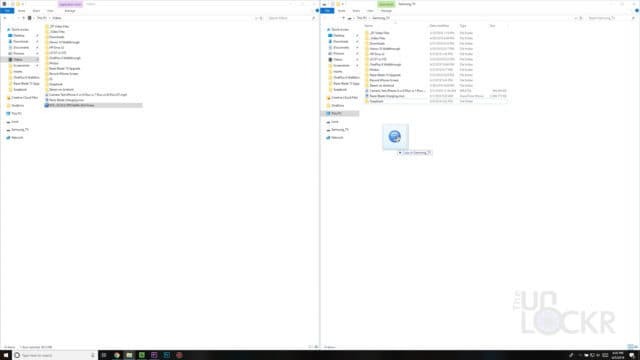 Move the order of booting so that USB drive is at the top (this way we can basically put windows on our USB drive and use that to install Windows on the new drive). Then reboot into Windows (and unplug the USB drive so it doesn’t boot back into that again). Now, since we’ll lose all of our drivers when we install Windows on the new drive, we’ll need to reinstall all of them. 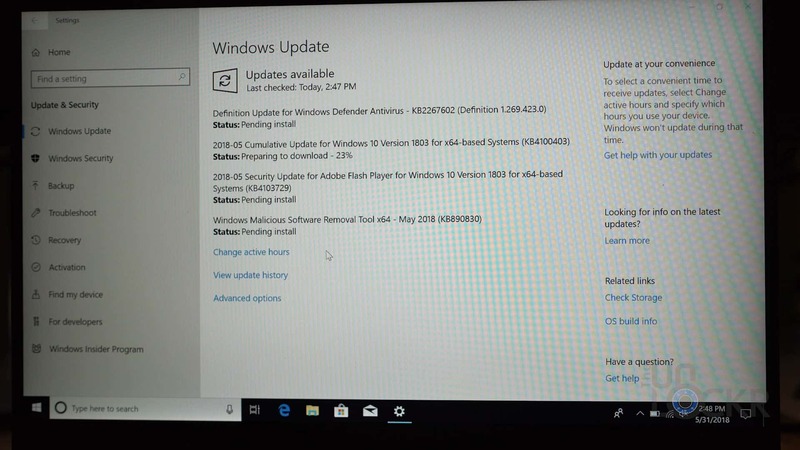 Most of this can easily be done through Windows Update, but to get to Windows Update we need internet access and to get that, we need some Wifi Adapter drivers so the computer can use the Wifi adapter. So just click here to get the Wifi drivers for the Razer Blade 15 and save them to that external drive. You could go looking for the rest of the drivers and save them as well, but once we have Wifi and internet access, we can get them easily anyway so no real need to hunt right now. 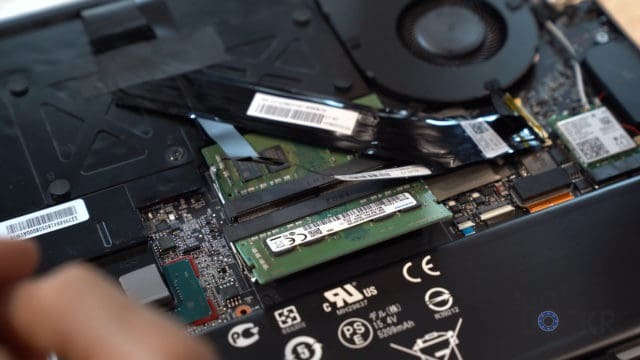 If you want to upgrade the Razer Blade 15 RAM, we need to just remove the old RAM and replace it with the new RAM. Here’s how. 2. Flip it over (it’s a good idea to put something soft under it so you don’t scratch the lid). 3. Unscrew the ten T5 screws holding in the metal plate and set them aside. 4. Using your fingers, pry up the bottom plate until it clicks off. 5. Now, you should see the RAM slots but they are under some ribbon cables. 6. Gently undo the two pieces of tape holding them down (no need to remove them just unstick them so we can move the cables). And pay attention to the one attached to the socket as you need to pull it up and the metal bar that unlocks the socket, as well. 7. Once that’s done, you can gently tug on that ribbon cable as horizontally as you can, not upward, and it’ll slide out. Now, we have enough room to get at the RAM modules. 8. Unclick the two metal brackets on the side of the RAM, it’ll pop up, and you can slide it out. Do the same to the other RAM modul and set them aside. 9. Put your new RAM in the same slots at an angle and then click them down and make sure they lock into place. If you aren’t going to upgrade the SSD, you can just put the metal plate back on, screw it back in place and turn on the computer and you’re all set. 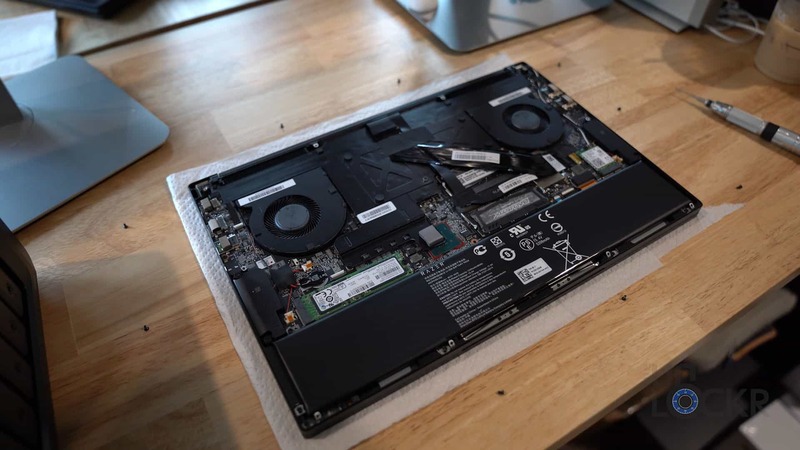 If you are upgrading both the RAM and SSD, you can leave the computer open and skip down to step 5 below. 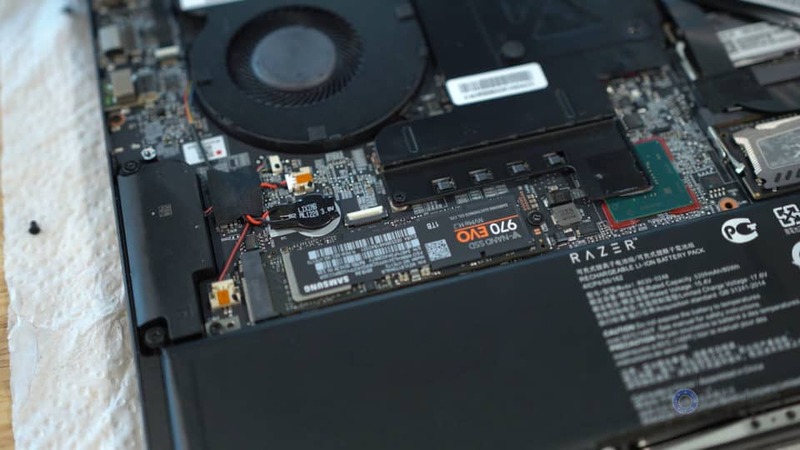 Now, if you want to upgrade the Razer Blade 15 SSD, it’s basically the same steps as the RAM. 5. You should see the one M.2 SSD slot. Unscrew the philips screw holding it down and it’ll pop up. You can then slide it out. 6. 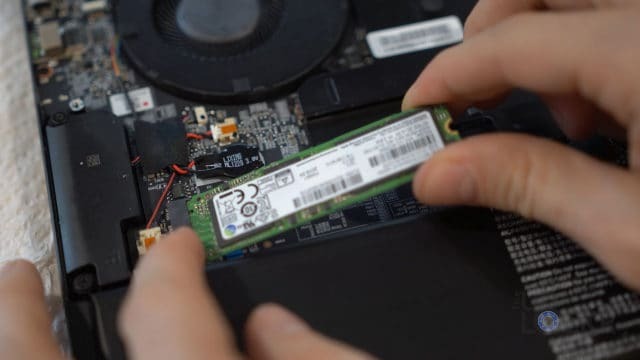 Put your new SSD in the same slot and make sure it clicks in and locks down. 7. 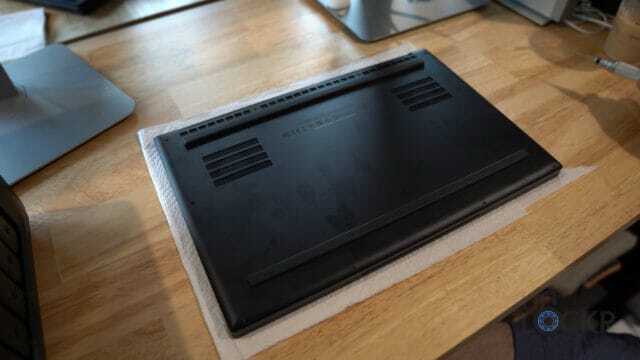 You can now just put the metal plate back on, screw it back in place and go onto reinstalling Windows now. If you just did the RAM upgrade, you don’t need to do this, but if you did the SSD upgrade, here’s how to reinstall Windows 10. 1. 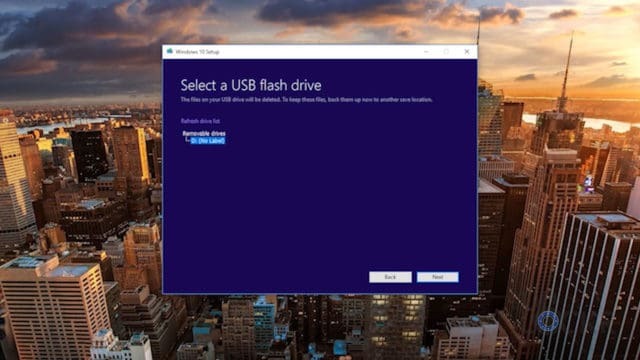 Plug in the USB drive and turn on the computer. 2. 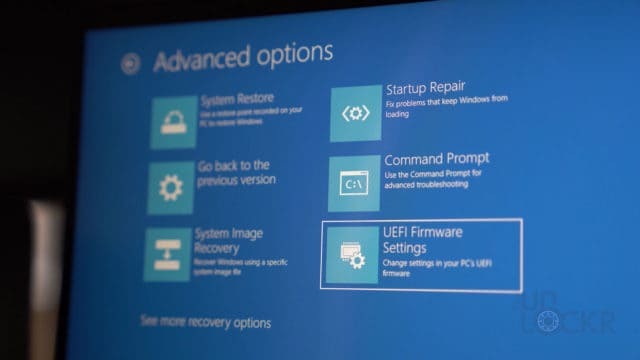 The computer should show the recovery options from the USB drive. 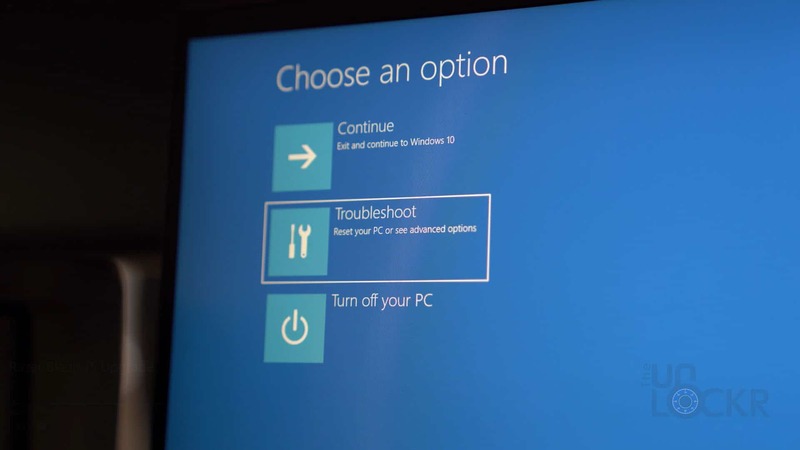 Select Install and follow the prompts to install Windows on the new SSD. 1. Plug in our USB mouse so we have a mouse that works. 2. Plug in our external hard drive with the Wifi Drivers on it and drag and drop the installer file to the Desktop and double-click it to install the wifi drivers. Once, we have internet access again by connecting to a WiFi network, we can open Settings > Update and Recovery > Windows Update and have it check for updates. Mine had to check a few times and just kept adding more and more and rebooting and then I’d go and recheck and it would find more, etc. 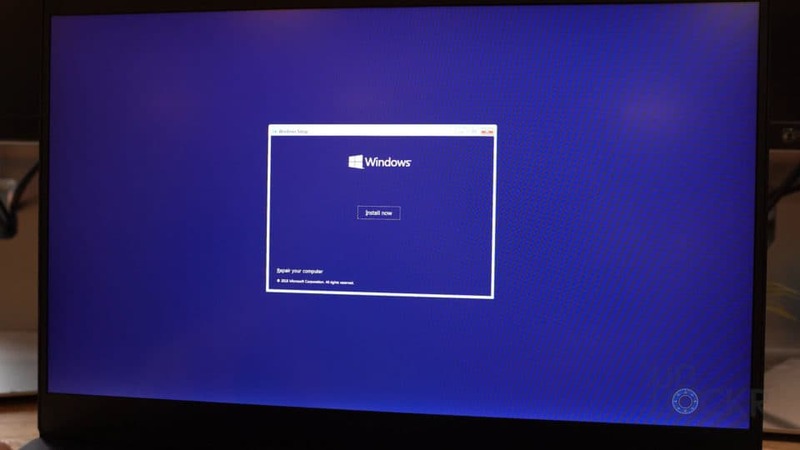 Just keep doing this until Windows Update says you are up to date. 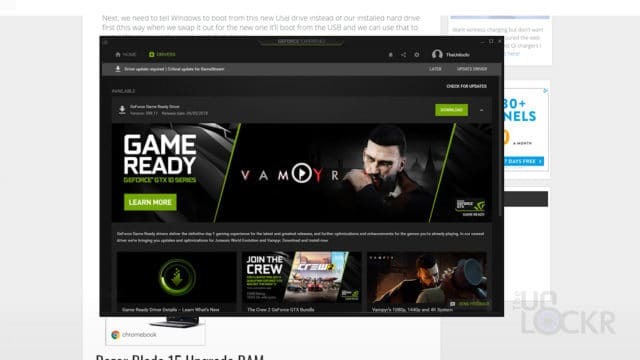 You might also need to download NVIDIA GeForce Experience from their site here and then have that check for updates, as well, to get the discrete GPU to work properly. 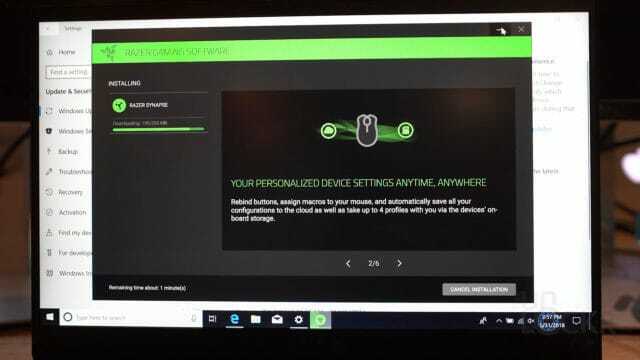 And, finally, redownload Razer Synapse 3.0 from their site to get your device settings, chroma, macros, etc. back. 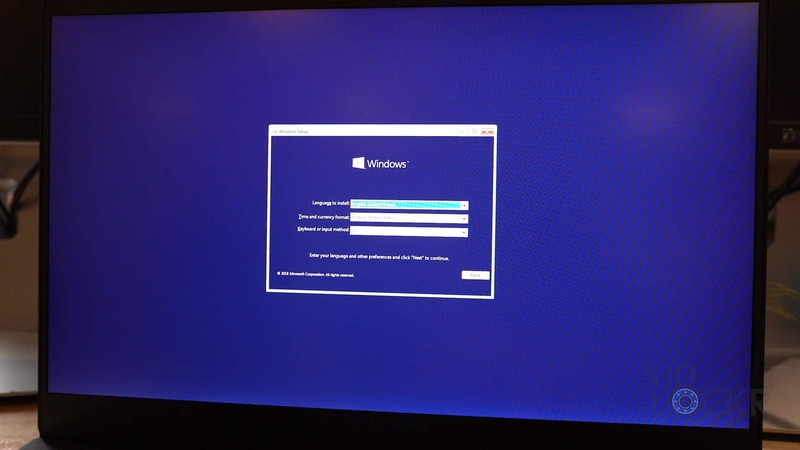 Now, that we are back in Windows, let’s just make sure the RAM and SSD are properly installed. To check if the RAM is installed properly, turn on the computer. Then go to Settings > System > About and confirm there is the correct amount of RAM showing under Installed RAM. 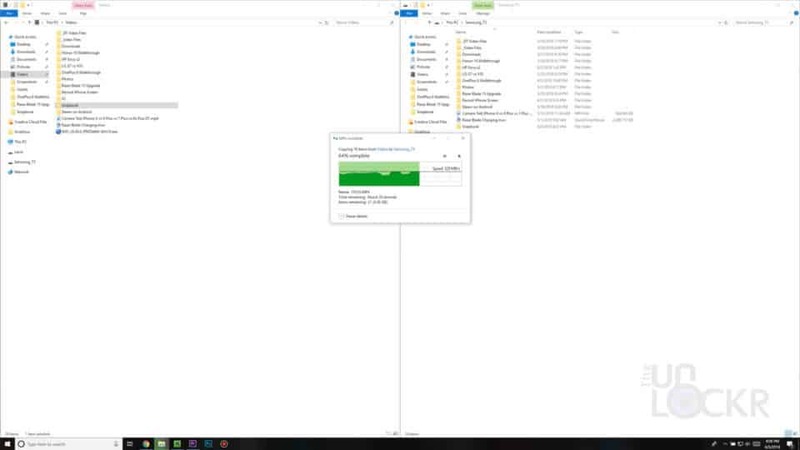 You can then check that the computer can see all of the new SSD storage by going to File Explorer, right-clicking on the C: Drive, then Properties, and make sure the total storage amount is correct. Don’t forget to sell the old RAM and SSD once you confirm the new ones are working. Put them on eBay or craigslist or however you would sell a used electronic. Helps to cover some of the cost of the new memory. Enjoy and follow me on social for more tech news and tutorials! 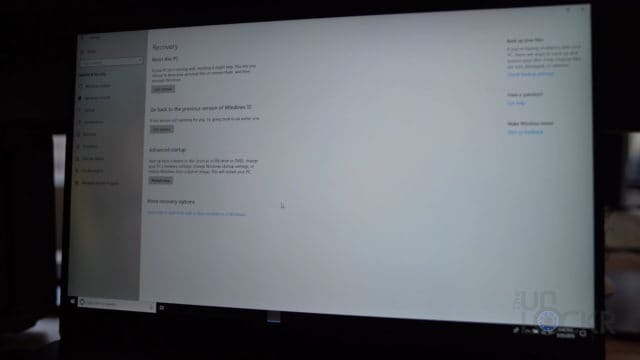 The touch-pad is not working after using the new ssd, and the windows update won’t help for the touch-pad issue. Do you know how to fix it. Thank you. Head to the Razer Blade support site if you have internet and you’ll find the driver for the touchpad there. Have you figured this out yet? I am having the same issue. me too, no touchpad support! http://drivers.razersupport.com//index.php?_m=downloads&_a=view&parentcategoryid=766&nav=0%2C350%2C765&_ga=2.227561246.2082063175.1530277122-1974120613.1527806720 install the Synapse one. 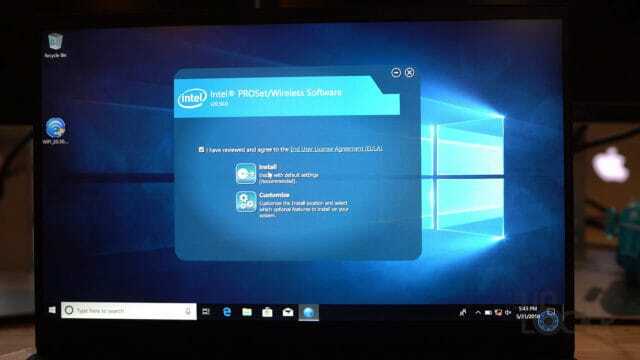 If you haven’t done so already, try installing the Intel Serial IO driver too. 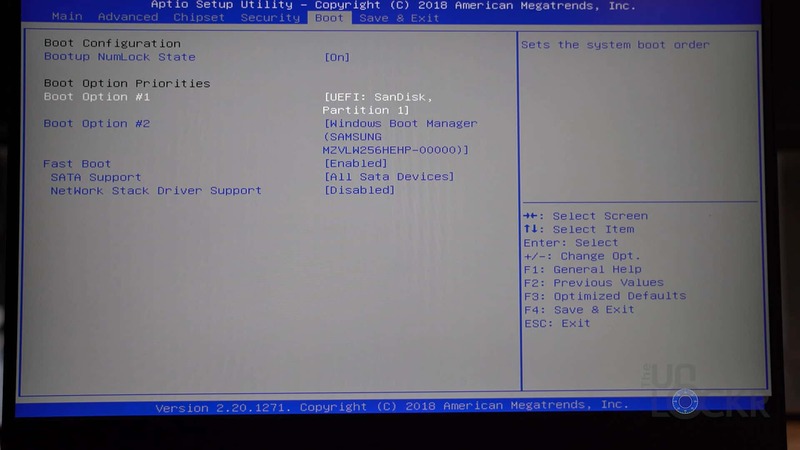 I had an issue with the I2C HID Device driver showing as waiting for other devices, in Device manager, but Installing the IO driver seemed to fix it. The Synapse All in One listed there is for the touchpad. tried to install it twice, still no touchpad support..
My 144Hz screen is only showing an option for 64hz refresh rate after SSD upgrade. Help please!! You need to download the proper drivers. 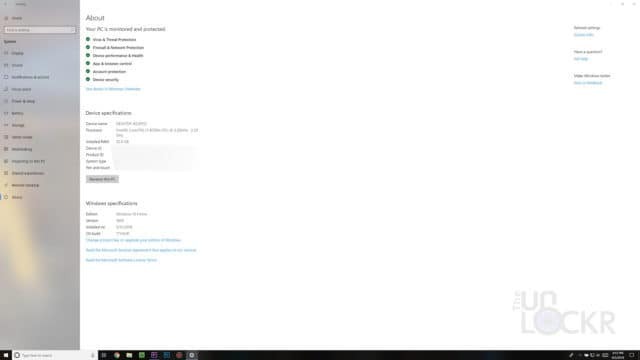 Do the Intel drives option I show in the video and go to Razers support page for the 15 inch Blade and download drivers from there as well. 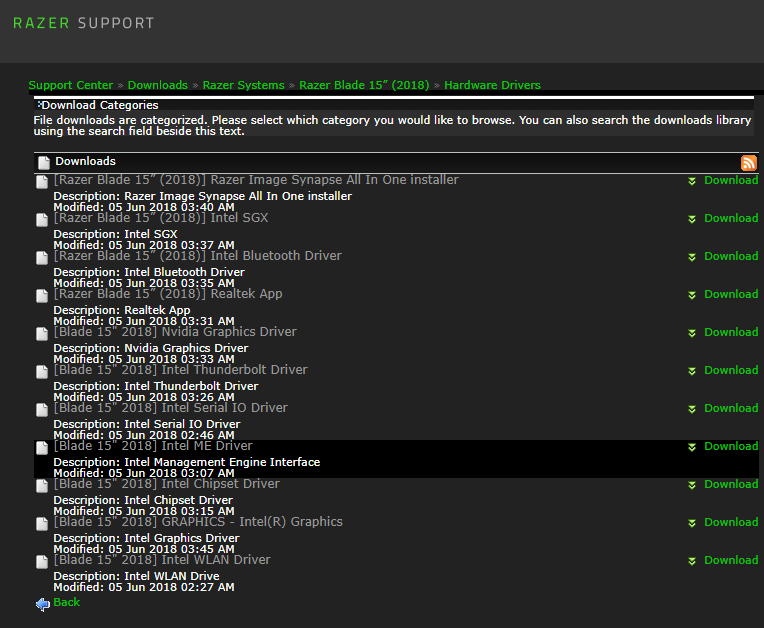 Lastly download the NVIDIA drivers for the GPU as that’s what controls the screen. Hello! Thanks for the helpful guide. 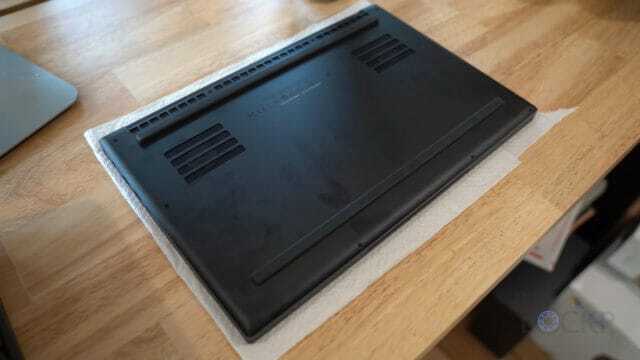 Like others have said my touchpad no longer works. Can you please post a picture of what options you have under “Mice and other pointing devices” in device manager? I upgraded my SSD to Samsung’s 960 EVO and fresh installed Windows 10 via USB drive like you did in the video. 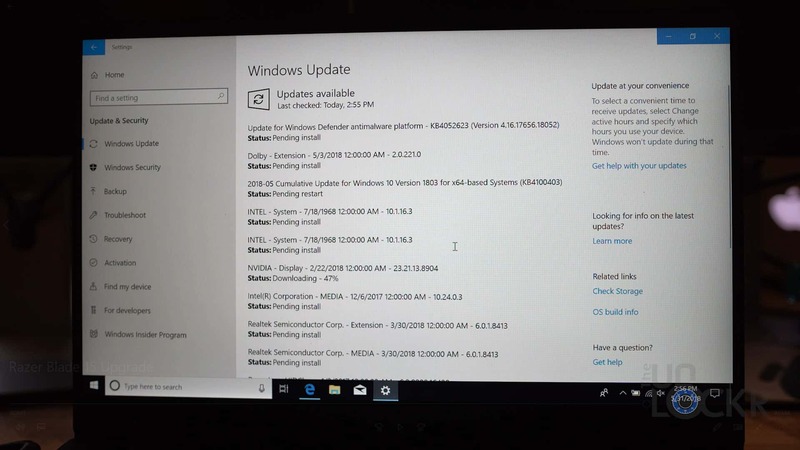 I noticed Windows 10 was not activated even after updating everything Microsoft and Intel. Did you encounter anything like this? Nice! Glad it went well! As for the activation issue, I didn’t have any issues with it. It should be tied to your Microsoft account you logged in with. If not, just contact Microsoft and explain what you did and they’ll fix it. hi David, thanks for the guide, it is useful. however, i have no idea why on my blade 2018, my usb boot drive has never appear on the boot option list, even the windows 10 usb i bought from MS also have the same issues, is that related to bios setting? I’d suggest following the steps listed above with a new USB drive step by step and see if that showed up. I just followed all the steps to replace my 256GB SSD with a 1TB one, but after Windows reinstalled successfully I can’t connect to internet. Diagnostics said I don’t have a properly installed driver, but I downloaded first the most up to date one, and then the one you pointed out in the tutorial. Please help! Then it wasn’t the right one. 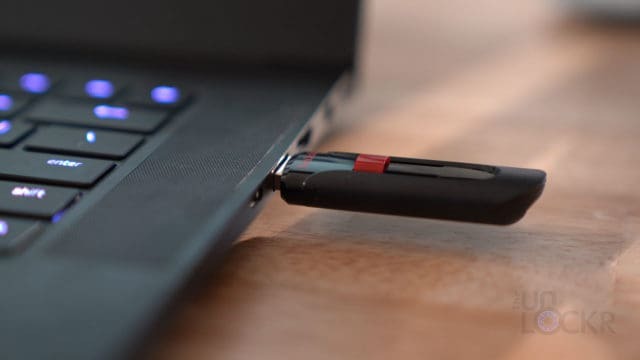 Go to the Razor support site from another computer or even your phone then download the wlan/WiFi adapter drivers and then use a USB drive (or plug in your phone if you used that) to transfer the file to the Blade and install it again. Keep trying different versions if that doesn’t work (also the Intel support drivers I mentioned can help, too). that fixed it, thanks a lot! my RAM is running at 2400 mhz speed any idea or thoughts about it? Its not possible to use XMP or other BIOS settings. 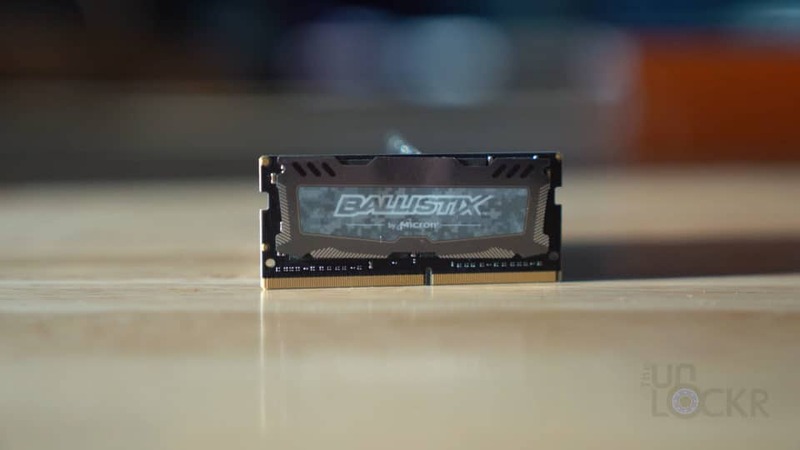 The Ballistix wont support 2666 right? Sorry I’m not following. Which RAM did you buy? 2400mhz or 2666mhz? If it’s running at 2400 and you bought 2666 then contact the ram manufacturer for help or a replacement. Sorry, not sure what you’re asking. Sorry still not sure what you’re asking. 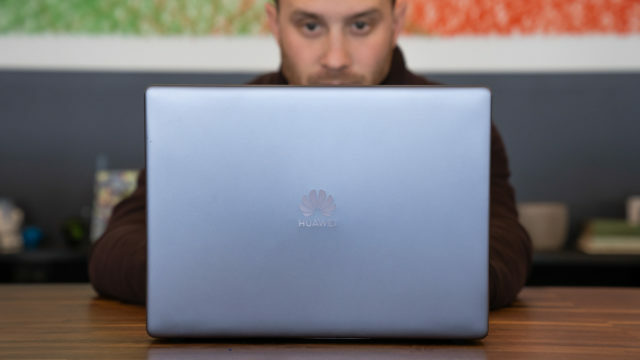 If you’re asking what wifi card is in the computer you can check their support site I liked to in the article above and it’s listed there. As far as upgrading the wifi card, you can’t do that. Hope that answers what you needed. Good luck. Just want to say, this does not work as advertised. 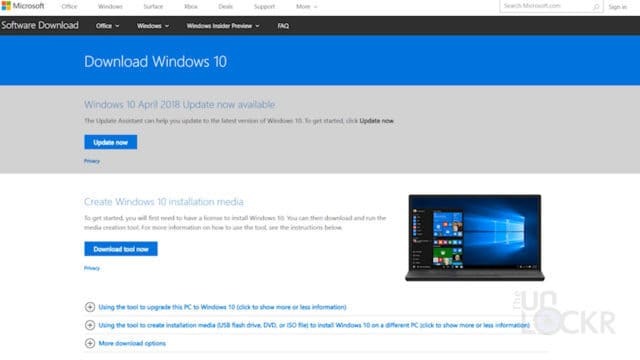 Primarily because Windows 10 installation media, created via the instructions above or purchased from a store (I have tried both) do not have ANY drivers on them that I can tell. 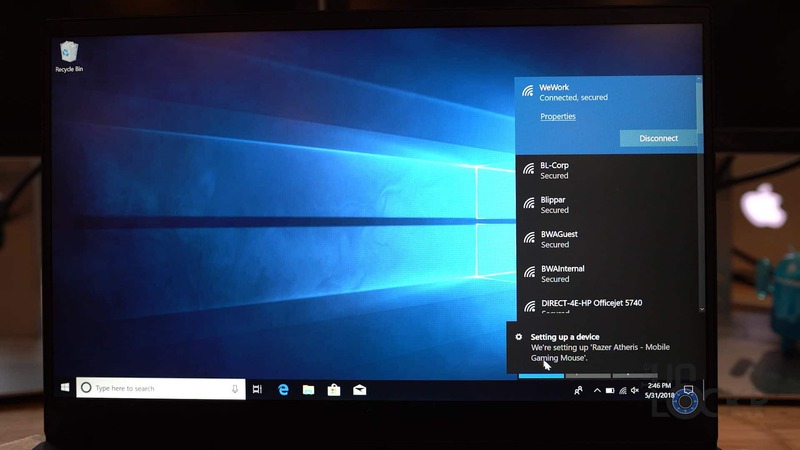 How on earth Microsoft expects anyone to be able to install this but then requires that everyone use a “cloud account” without giving them the ability of connecting to the internet with even basic wireless drivers is beyond me. I eventually got a version of Windows installed but I had to create a temporary local account since I can’t log into my “cloud account” without the drivers. The problem is that the temporary local account is permanent. You can not ever delete it… EVER. If you try to remove it, it will break your windows install. So now I have a 2TB Samsung 970 EVO (about $600) that I can’t use because I can’t install Windows on it without a Wireless driver… which Microsoft has made impossible to do. So you don’t need those drivers when setting up Windows 10 (no one else who’s done this has had that issue either just like I didn’t). It let’s you install Windows 10 and then you follow the steps to download the Wifi drivers and then it’s good to go. I ran into a few issues (and solved them). I kept getting errors related to the windows installation media. 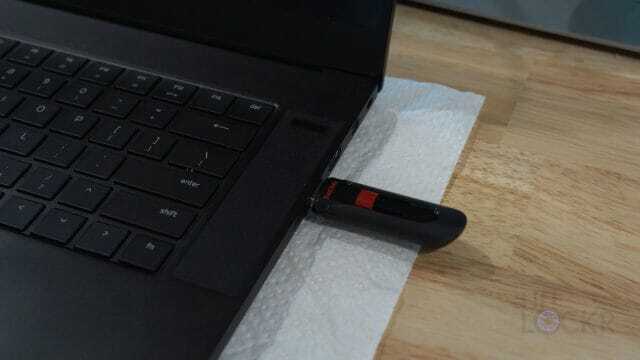 I fixed it by copying the MediaCreationTool from Microsoft onto the usb stick. I read about it on an unrelated post and tried it out of desperation and it fixed all the errors I was getting. I was having difficulty with wifi and with the touch-pad. The fix was simple but added an hour or so to the process. I went through the process as described and during the setup I could not log in using my Microsoft account (no wifi). After setup was complete I added the wifi drivers but I had to add my Microsoft account to an existing account and the touch-pad didn’t work. Well, technically it worked but it was not working well. 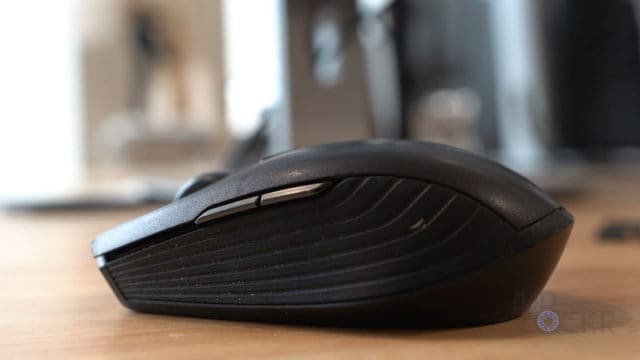 No amount of playing with the settings turned the wild mouse motion into a working touch-pad and the clicks were either not possible or a single click was registered as 2,3 or more. After running the install from the media several times I tried something else – again out of desperation. I ran the recovery from the settings. 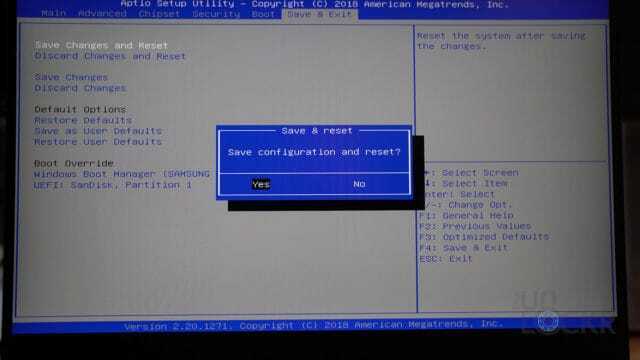 It reset the PC and re-started the installation – with the wifi drivers. I was able to log in using my Microsoft account and while the setup took a bit longer but after the installation was complete the touch-pad was working flawlessly. Thank you David for the excellent guide. I now have my blade running with a new 1 tb drive and 32 gb of ram humming along. So glad I could help and thank you so much for reporting back with errors and their solutions! Sure it’ll help other out for sure! could you upgrade the graphics card as well to maybe 4k ?? Unfortunately, just the RAM and SSD. 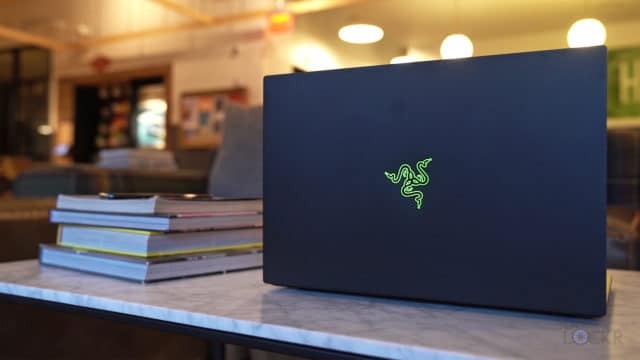 I have been wanting to purchase a Razer Blade 15 base edition for a while now and I was wondering if there is a compatibility list for the SSD types in the blade? If not, is it possible to install a Samsung 860 2tb edition, or can the blade only take a maximum of 1tb in SSD space? David, thank you so much for your article. 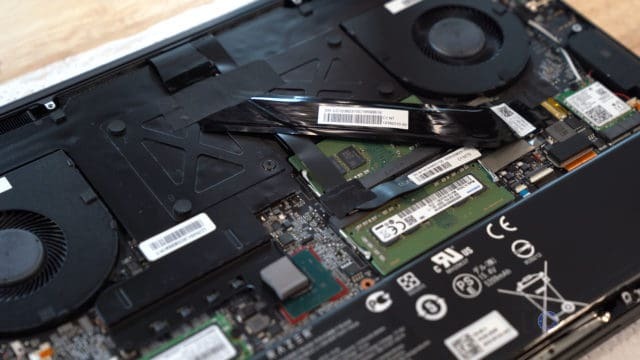 This really helped me in my own upgrade process of my wife’s Razer Blade 15. We upgraded the SSD C-Drive from the installed 250GB to a Samsung 970 EVO 2TB. However, the software method I used was Clonezilla, a live-USB Ubuntu Linux based distro with cloning software. When you use Clonezilla to copy the original SSD to an image on an external HD, then write that image to the new SSD, you don’t have to work with drivers at all. So glad I could help and thanks for the suggestion! Almost all is right, but i just have an issue with the dolby atmos license. I’ve lost the atmos app that came with the laptop, Is there a way to get it again? Otherwise, just contact Razer support and they should be able to email you a link to install it. Not the HDD since that’s the max but the RAM you could. You should still be able to upgrade the SSD though. It’ll change performance technically but not by much. This is very important info that should be included in the article and video. Now I’m stuck with RAM that is running at 2400 instead of 2666. Hey, I just wanted to ask if I have a new Razer Blade 15 with no new downloads or any of my personal data do I need to back anything up on the external SSD and just skip to the step where I download the Windows setup on the flash drive? Nope. Should be able to just follow the video as that’s what I did.